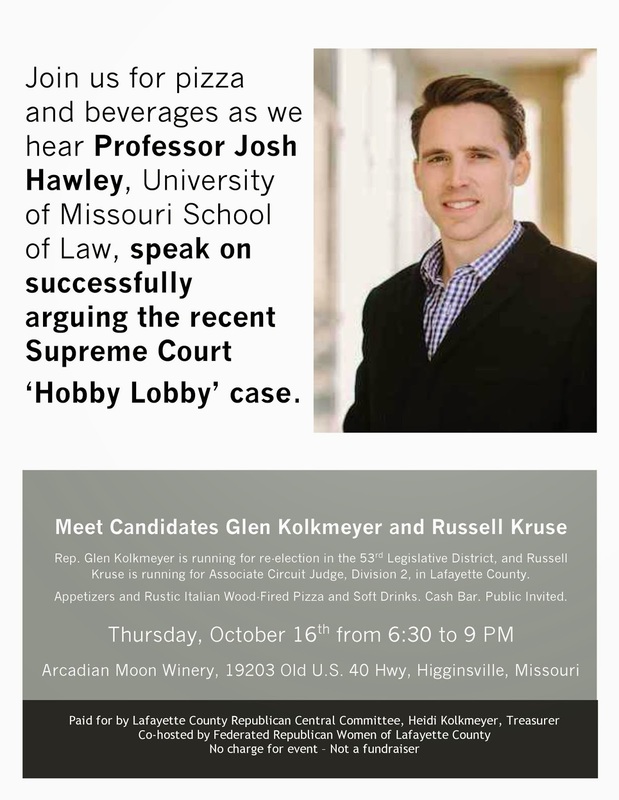 Prof. Josh Hawley to speak on religious freedom and his successful effort arguing the recent Supreme Court 'Hobby Lobby' case on Oct. 16th at Arcadian Moon Winery in Higginsville. Meet Candidates Rep. Glen Kolkmeyer (53rd Leg. District) and Russell Kruse for Assoc. Circuit Judge, Division 2.